The Tampa Bay Buccaneers did not lack for talented pass-catchers in 2018 and they likely will be strong in that area again in 2019. We started our annual "Burning Questions" series earlier in the week by looking at the tight end position, which has the potential to be a prolific bunch in 2019, and now we turn to their pass-catching peers, the wideouts. That position includes a Pro Bowler in Mike Evans, one of the NFL's most productive slot receivers in Adam Humphries, one of the greatest deep threats in NFL history in DeSean Jackson and a do-it-all rising-star in Chris Godwin, who won't turn 23 until the end of this month. That said, Humphries is headed towards unrestricted free agency if no new contract is in place before March 13 and, with a new coaching staff coming to town, there could be further upheaval at that position (or any position on the roster). Other than who will and won't be in the meeting room this fall, there aren't a lot of question marks surrounding the Buccaneers' wide receivers. They are all proven producers, and many of them are still on upward trajectories. That said, every player on the roster has questions to answer in 2019, and that's why we've revived our "Burning Questions" series as we approach the beginning of the new league year in March. 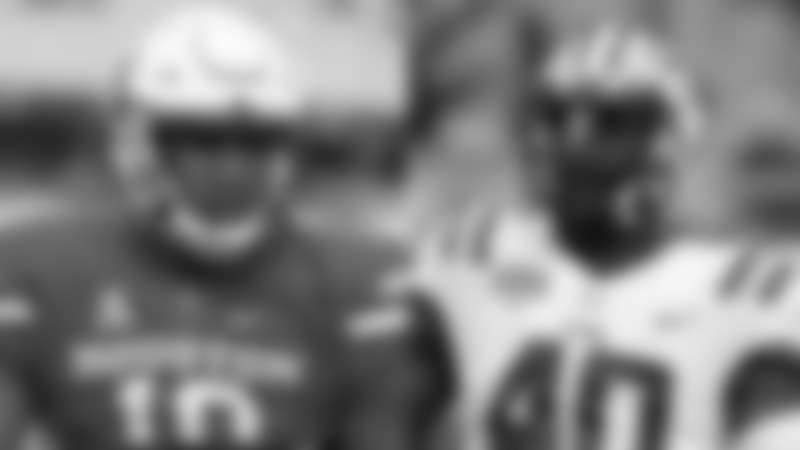 In the weeks ahead, we're going to pinpoint one burning questions for each player on the roster, going position by position. The tight ends were first, as noted; now we run through the wide receiving corps. Sergio Bailey: Will he bounce back from some serious bad luck and have another strong training camp? Bailey, an undrafted rookie out of Eastern Michigan, put together a strong training camp and had caught five passes for 73 yards and a touchdown through the Bucs' first two preseason games last summer. Then, as the players warmed up following an hour-long rain delay before the third preseason game on August 24, Bailey planted his foot, slipped and suffered a significant ankle injury. He had surgery and was placed on injured reserve, thus wiping out his rookie campaign. Bailey was in good spirits despite that bad luck in the days that followed, going on Instagram to say it's "all about your BounceBack!" As unfortunate as Bailey's mishap was, the fact that it occurred in August and not, say, November, allowed him to begin working on his comeback early. Bailey will hopefully be ready to go for the Buccaneers' offseason program, which would actually send him into his second training camp even more prepared.  In just two seasons at Eastern Michigan he put up big numbers, with 114 catches for 1,746 yards and 16 touchdowns. Wide receiver is one of the Bucs' deepest positions and there will surely be some additional players added to that group before camp, so Bailey will be facing some tough competition. Still, he showed promise last year before his injury. K.J. Brent: In his fourth season since entering the NFL as an undrafted free agent, can he crack an opening-day roster for the first time? Brent also came into the NFL as an undrafted free agent, but that was in back in 2016 with the Oakland Raiders. The former Wake Forest standout spent his entire rookie season on Oakland's practice squad and then went to camp with the Raiders again the following summer. Brent was let go in the final cuts and, after a couple of brief stints on practice squads in Seattle and Indianapolis, finally got a taste of regular-season NFL football with the Colts over the last five games of 2017. Brent didn't catch a pass in that span but he stayed with the Colts through the subsequent offseason and training camp before getting hurt and being waived before the regular season. He didn't come to Tampa until early December, but showed enough in a month on the practice squad to be re-signed for 2019. So Brent has gotten looks from four different teams and has even played in the regular season but he has yet to be on a 53-man roster to start a campaign. That doesn't mean his time has run out, as it sometimes takes a few years for an undrafted player to work his way up to a regular roster spot. Former Bucs wideout Freddie Martino is a good example. Originally a rookie free agent who signed with Atlanta in 2014, Martino saw action in one regular-season game in the middle of that year and then later resurfaced on a 53-man roster with Tampa Bay in 2016. He saw regular-season action at times in 2017, too, but it wasn't until 2018 that he broke the preseason on his team's 53-man roster. Maybe Brent can break through in the same way in 2019. 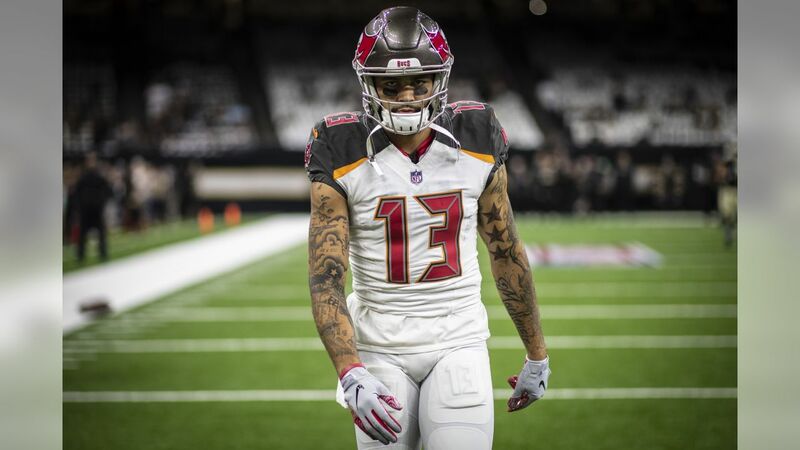 Mike Evans: Can he continue to add to his yards-after-catch (YAC) average? Evans is already the Buccaneers' all-time leader in receiving yards and touchdown catches and he's one of only three NFL players ever to open their careers with five straight 1,000-yard seasons. He's coming off his best year, in terms of yards (1,524) and yards per catch (17.7), and there's really no reason to believe he will stop putting up big numbers any time soon. He won't turn 26 until next year's training camp and he's sure to be the centerpiece of Bruce Arians' offense. There's not much point in setting up an arbitrary statistical goal for Evans here. So let's focus a little more specifically on one aspect of Evans' outstanding overall game: Yards after the catch. Evans made a point prior to the 2018 season that he wanted to improve in that category; in fact, it was the second straight year that he had that among his specific goals, but this time he actually did make some noticeable progress.  Will Arians' offense give him a chance to do even better in that category? Evans averaged 3.3 yards after catch in 2018. Those are still not anywhere near elite NFL numbers, but they are largely impacted by his role in the offense. Evans routinely caught passes well downfield, often in traffic with little room to make something after the catch. He averaged 14.4 yards at the point of the catch (Y@C), which was second among qualifying players only to his teammate, DeSean Jackson (14.5). No other qualifying player in the NFL did better than 13.3 Y@C per reception. Still, that 3.3 YAC average was the best of his career and quite a bit better than the 1.9-yard figure he had put up in each of the two previous seasons. He's trending in the right direction and might find more room to run in a new offense. Evans already ranked third in the NFL in passing yards last year; add in a more robust YAC average and he might climb to the top of the heap. Chris Godwin: Will he crack 1,000 receiving yards in a season for the first time? In contrast to Evans, it is actually enjoyable to posit a specific statistical milestone for Godwin, in this case the classic 1,000-yard receiving season. Godwin has already proved to be a fantastic find as a third-round pick, and his output has really only been limited by opportunity. 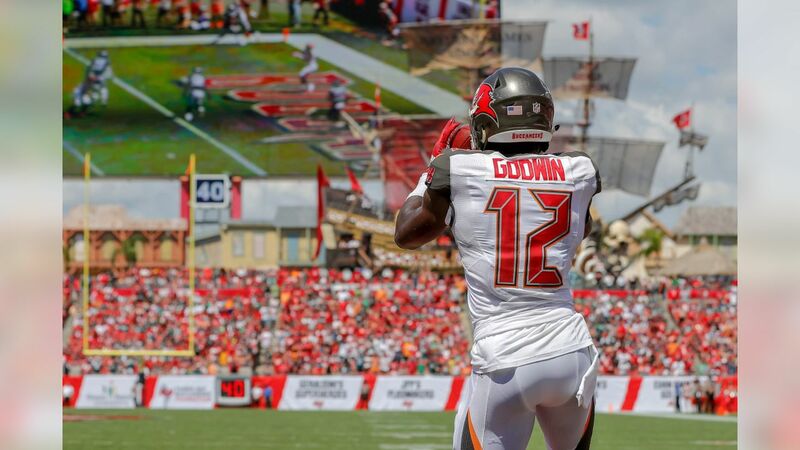 With Evans and Jackson holding down starting spots, Adam Humphries providing such steady production out of the slots and the tight ends also heavily involved in the passing attack, Godwin hasn't always been gifted with enough snaps or targets to fully utilize his talents. That has gradually begun to change, however. The previous coaching staff made a point of listing Godwin and Jackson as co-starters on the depth chart and by season's end the former Penn State star had the third-most snaps on the team among wideouts behind Evans and Humphries, and only a bit behind Humphries. Godwin's targets rose from 55 as a rookie to 95 last year and he jumped from a 34-525-1 stat line to 59 catches for 842 yards and seven touchdowns in his sophomore campaign. Still, there were a lot of hungry pass-catchers in the Bucs' 2018 offense and quarterbacks Jameis Winston and Ryan Fitzpatrick did an excellent job of spreading the ball around. In fact, last year's Bucs became just the fifth team in league history to have four different players exceed 750 receiving yards in the same season. The question is, will Godwin continue to grab a larger share of playing time and more of his quarterbacks' attention in his third year? 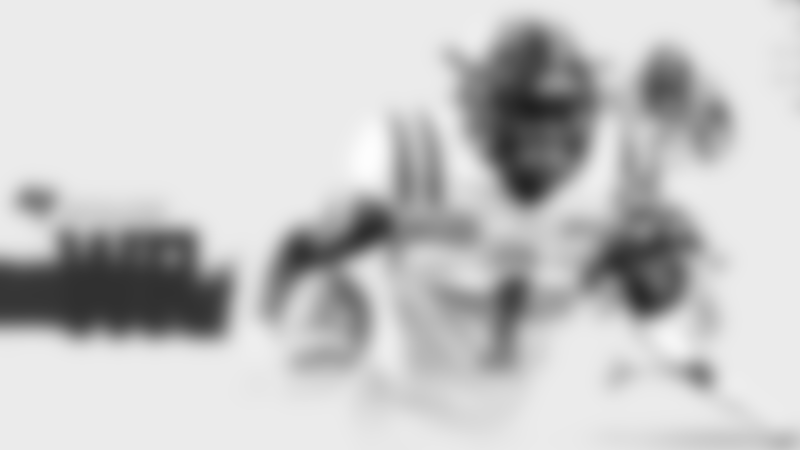 It wouldn't take too much more to make the leap from his output of last year to the 1,000-yard plateau. He has averaged 14.7 yards per reception through his first 32 games; at that rate, he would only need to catch about 11 more passes next season to make it to four digits. DeSean Jackson: Will the arrival of Bruce Arians and a new coaching staff change his Buccaneer trajectory? Jackson signed a sizeable three-year deal with the Buccaneers as an unrestricted free agent in 2017, as the team hoped to add a big-play element to its passing attack. There were certainly times over the past two years when that worked out as hoped, and Jackson did lead the NFL with an average of 18.9 yards per catch. His 60-yard touchdown catch in Cincinnati in Week Eight was his 24th career touchdown of 60 or more yards, giving him one more than Jerry Rice for the all-time lead in that category. Jackson is clearly still a deep threat at the age of 32. It's also probably fair to say that Jackson's 91 catches, 1,442 yards and seven touchdowns in two seasons with the Buccaneers is less than either he or team management thought he would have at this point. A coaching change and possibly competing motivations regarding Jackson's future in Tampa could affect Jackson's status for 2019, and that will be figured out in the months to come. Assuming he finishes his contract with the Bucs this fall, there's certainly reason to believe he could thrive under Arians' "no risk-it, no biscuit" philosophy. Jackson had three 1,000-yard seasons in the four years before he came to Tampa, but his 41 catches last year were the second-lowest in any season in his stellar career (in part because he lost four games to injury0. Could the arrow point back up in 2019 as part of another prolific Buccaneer offense? Justin Watson: Will a larger role in the offense become available for him in 2019? When the Buccaneers selected this Ivy League receiver in the fifth round last spring, it clearly was based on the player's talents and not a need on the depth chart. Wide receiver might have been the deepest and most talented position on the team in 2018…and indeed that left a very small piece of the pie for the rookie out of Penn. Watson was targeted just three times in his 12 games played, finishing with one catch for five yards. Watson was inactive for the first three weeks of the season and one more time in Week 15, but he did see some action on offense in every other game. The 6-3, 215-pound receiver cuts a similar profile to Evans and has the same type of game, and a good number of his snaps came when he would spell a tired Evans for a play or two. Still, Watson's single-game high was 12 snaps, so there simply wasn’t much of an opportunity for him to make an impact in that phase of the game. He did play extensively and willingly on special teams and had a team high six kick-coverage tackles. Watson's prominent role on special teams should help him maintain a roster spot as he continues his transition to the NFL and hopefully finds a bit more playing time. Watson isn't a slot receiver, but if Humphries departs in free agency that could cause some shuffling of jobs and targets and perhaps give the promising second-year player more of an opening. Bobo Wilson: Will he hold on to the primary kickoff return job? In each of his two NFL seasons thus far, Wilson, an undrafted free agent in 2017 out of Florida State, has spent the first 12 weeks on the Bucs' practice squad before getting a promotion for the final five games. As a rookie, he got a handful of snaps on offense, catching one pass for an 18-yard touchdown, and played a bit in kick coverage. Last year's promotion came with a different role, as he took over as the team's kickoff returner for the last third of the season. He did well with that assignment, too, averaging 28.4 yards on 10 returns and generally adding a spark to that part of the game that the Bucs hadn't seen in some time. Did Wilson show enough in that late-season cameo to be the top candidate for that job in 2019? In this case, there is the added uncertainty of a new coaching staff evaluating the work of all the players from 2018 and possibly having a higher or lower opinion of a player's talents. The first step for Wilson would be to win a spot on the opening-day roster for the first time, of course, and how the receiving corps shakes out between now and then will affect his chances.